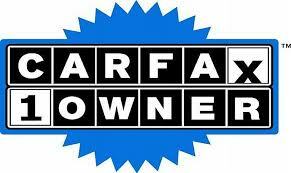 CARFAX 1-Owner, Extra Clean. EPA 25 MPG Hwy/19 MPG City! Third Row Seat, iPod/MP3 Input, Multi-CD Changer, Rear Air, Aluminum Wheels AND MORE! Third Row Seat, 4x4, Rear Air, iPod/MP3 Input, Multi-CD Changer. Nissan S with Cayenne Red exterior and Charcoal interior features a V6 Cylinder Engine with 260 HP at 6400 RPM*. Edmunds.com explains "Premium interior design with high-quality materials; ample passenger room in all three rows; good fuel economy; user-friendly electronics interface.". Great Gas Mileage: 25 MPG Hwy. Approx. Original Base Sticker Price: $30,800*.
" I had a problem. They had the solution, got me in a reliable car the same day!! Awsome service!! Go in and ask for either Big Mo or David they are sure to take care of you!!! " " Tommy and Q were awesome with me, I didn't expect to get approved and leave in my 2015 Jetta, its beautiful and fully loaded. These guys took care of me like family and made me feel respected and appreciated. Every time I called they answered the phone. Also Tommy stayed back to wait for me to get off of work to go by and pay my deposit. I love this place God bless all of the people working there "
" I want to thank Big Moe and especially my salesman Tommy at Ben Mynatt Pre-Owned!! Tommy gave me his word that he would put me back into my own vehicle and he did just that. I was literally in and out in less than 4 hours. My experience was great and I absolutely love my car!!!!! " " The salesman was very courteous, friendly and professional. This was the first place that actually had the vehicle on the lot that they advertised having, unlike all the others. There vehicles were clean and definitely didn't smell like horse manure had been hauled in them like one dealerships did which will remain nameless. They made buying a vehicle easy and if your looking for a good used car/truck I would highly recommend Ben Mynatt as the place to start. . "